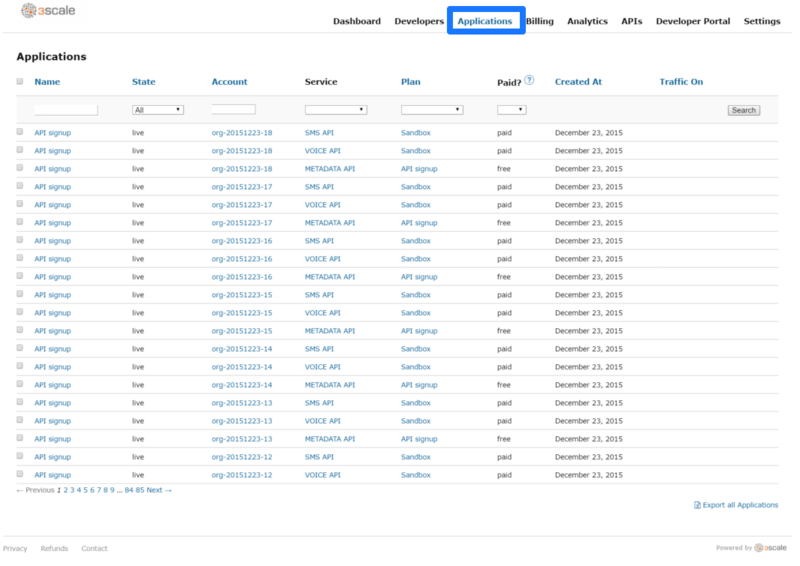 By the end of this guide, you’ll be able to quickly locate an application in the Dashboard based on either its name, an API key, or an application identifier. During API operations, you may need to be able to find information on an application that is accessing your API quickly – either for support purposes, to change configuration, or potentially because the application is misbehaving and needs to be disabled. To find an application, you need to know something about it – the name of the account it belongs to or the application’s name. If you have this, locating it is straightforward from the Applications tab in the Dashboard. 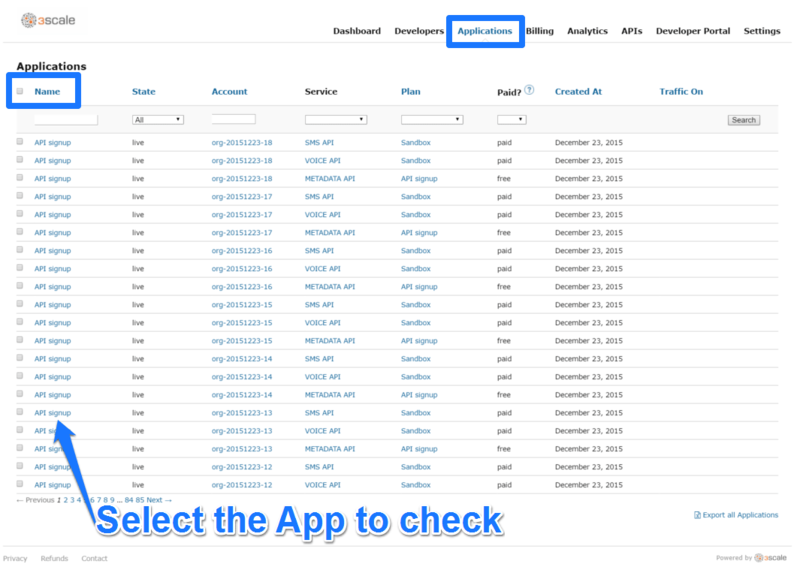 However you may have no information other than the application identifier or its API key, for example if you’re seeing this information in your own access logs. Armed with whatever data you have, head to the Applications area of the Dashboard, and use the search box (shown in the image below). Once the results are returned, click on the application you’d like to access and you’ll be taken to that application’s homepage, which includes information such as that shown in the image below.